03_03_djmount.init, 03_03_nfsmount.init and 04_04_samba.init use variables from vusb!!! if you use 04_04_fusesmb.init -> you have to fix it, see in one of other nw-mount scripts. v0.03.6, new location in files section. due compability with c-series: if you start the extensions with storage media attached to tv your network shares are mounted on the usb-device into directories nfs, upnp, fusesmb and smb. "home phone script" SamyGO/etc/init.d/99_99_z_sendinfo.init. script is started just at first run, and mails some device/software informations to author (if tv has a working internet connection ). 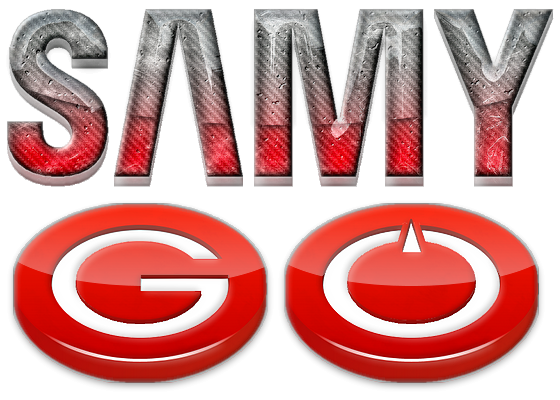 if you don't like to send this infos you can create an empty file in SamyGO directory with name noinfo.txt, but do this before you start the extensions. added some tools like wget and unzip..
added injectso app for testing (SamyGO/etc/init.d/90_90_injectso.init.dis), don't forget to configure and rename! v0.03.5 is in sf file section for testers. some scripts can read configuraton from files stored on /mtd_rwarea/<...>. luke, use the source! before i put it into the files section pls. test and report. if you want to copy it to your tvs flash you need 8MB free place. unsquashfs, mksquashfs and cr32 generataor (cksfv) also included. Last edited by arris69 on Thu Mar 10, 2011 10:44 pm, edited 27 times in total. Could you add modules and setup code for support keyboard and mouse ? However mouse device nodes I didn't tested yet. we can put it in. Telnet works well. Samba and upnp mounting too. There's one thing that doesn't work for me : the yellow button ! I really don't understand what this yellow button is supposed to do... I thought it was to copy Samygo Extensions in the TV memory, but nothing happens for me. My tv is le37b651 and there is 24mb/189mb free tv memory according to what i see in content library management. Do you think that it's possible to study, to have a part or all of your source code ... i am very impress and I am sure to learn a lot. autodetection rutines for samba/windows and nfs server in the same subnet. I only want that NFS share will be automounted from USB stick on original firmware at least when I select SamyGO in content. Anyway to do this only? I don't want to patch it because of warranty issues. jojomail wrote: I've tested it. press ok the menu entry is named "copy to flash" (free translation, hawe the menu in german ) and not play. for shutdown nw interface unload original module load new module and bring up nw interface.